Gail Armstrong is an award winning artist in both oils and watercolors. After receiving her Master’s from RISD she taught high school art for over 30 years. She presently teaches Watercolor and Figure Drawing at the Providence Art Club, RI As an artist member of Spring Bull Gallery in Newport Gail’s work can be seen daily 12-5 pm and on Gallery Nights in Newport. Her work can also be seen at her studio in Deacon Taylor House (part of the Providence Art Club) on Gallery Nights in Providence and by appointment or chance. 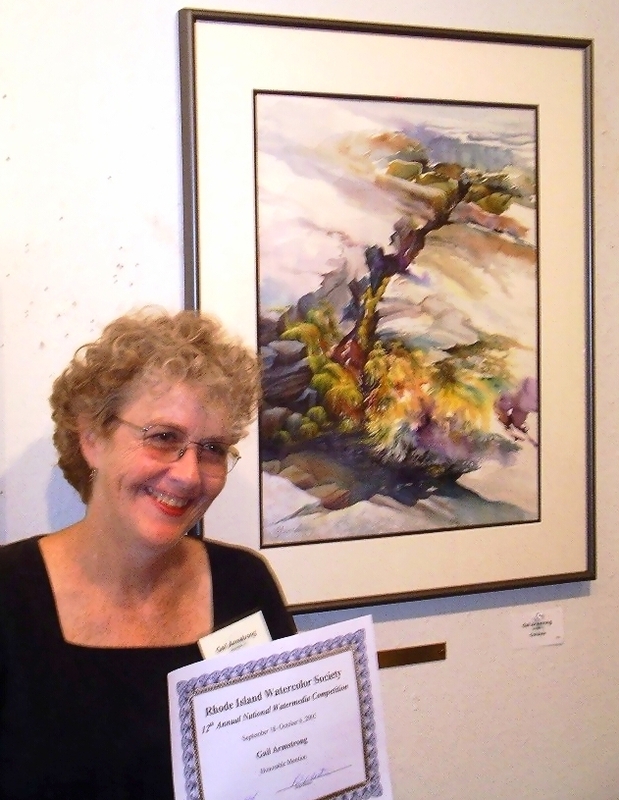 Gail is a Signature Member of the R.I. Watercolor Society, an Elected Artist Member of the Mystic Arts Association, and a Juried Artist Member of the Cape Cod, Wickford, and South County Art Associations. She also serves on the Education, Membership and Arts committees of the Providence Art Club, where she is a Juried Artist Member as well.